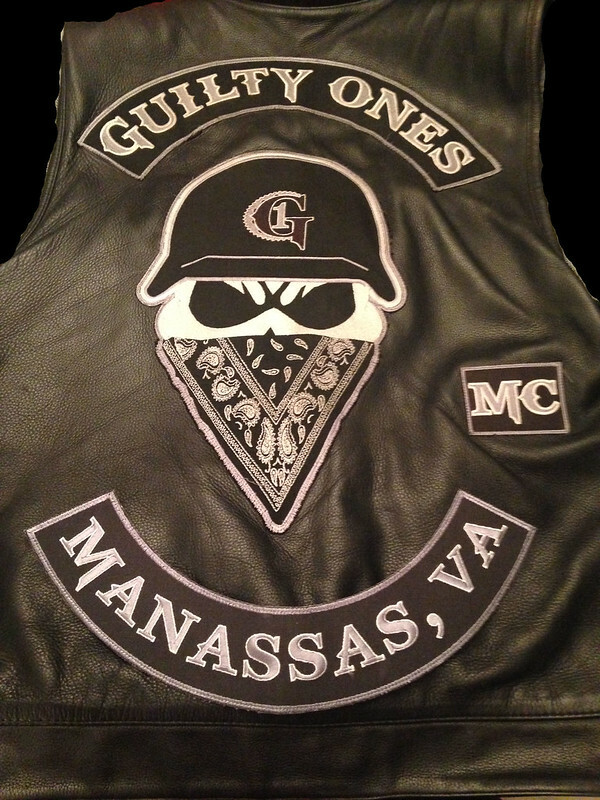 Guilty Ones Motorcycle Club was founded and sanctioned in Manassas, VA in 2005. We consider ourselves a traditional MC because we follow protocol, and carry the same values that the MC culture was founded on. We are not a 1% club, we are not a support club, and we claim no territory. To join this club you must show Brotherhood, Respect, Loyalty, Commitment, and complete your prospecting. The purpose of Guilty Ones Motorcycle Club is to offer a traditional, respected, and sanctioned brotherhood of riders on both sportbikes and cruisers. Our center patch is a Skull wearing a bandana and german helmet. We wear a bottom rocker signifying our chapter locations. And we proudly wear an MC block. Colors are Black & Grey. warriors". You will earn your way into this brotherhood. Have time to be committed to the club. Be able to show respect, loyalty, and commitment. Why do you only allow sportbikes? We accept all Motorcycles over 500cc. Why do you call your club Guilty Ones? The name Guilty Ones came about due to most peoples first impressions when they saw us all out riding together. We seemed to always appear guilty of something. So the name just fit. How do i get your club to help out with a charity or event? Simple...contact us through the link. I see your club has a lot of stunt riding videos and pictures. Are you a stunt team? No, G1MC is not a stunt team, however back when we got together its what we were aiming for. The original members of Guilty Ones were all stunters. However if your looking for a stunt team, or show. We know all the locals. I see your local to Manassas, Va, Loudoun Co. Va, and Western Md, Do you ride elsewhere? We ride everywhere. Sometimes we keep it a little closer to home and sometimes we go far out of state. It just depends. What do I have to do for prospecting? Our prospecting is no set time but usually takes about a year. You have to come out and make sure this club is right for you, that you fit in, and that you can be committed. Why do you make people prospect? Simple this is not the club for everyone. We are more interested in quality over quantity. Do you only get together for rides and events? Absolutely not. You will find us out having a good time any day of the week.